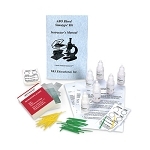 The Deluxe Child CRiSis Manikin is a dramatic, state-of-the-art manikin designed for teaching individuals or groups life-saving techniques for children. 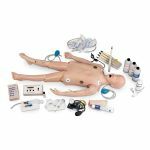 Simulating an 8-year-old child, manikin provides complete PALS training capabilities; it combines all of the skill stations on one manikin, making training more realistic and giving students an appreciation for the smaller scale of the patient. 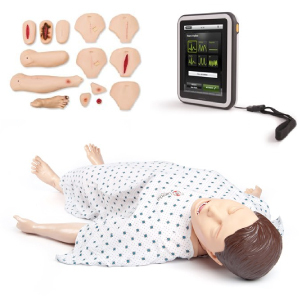 The Life / Form Child CRiSis Manikin also includes an Arrhythmia Simulator. This arrhythmia/pacing simulator recreates 17 adult heart rhythms and 17 pediatric rhythms. With an external pacer, you can simulate electronic capture. You can also simulate cardioversion with manual, semiautomatic, or automatic defibrillation. This anatomically correct in detail. Realistic anatomy and landmarks include a mouth, tongue, oral pharynx, epiglottis, arytenoids, vocal cords, trachea, and esophagus. In addition to the palpable and visual landmarks, the head, neck, and jaw are fully articulated, allowing a realistic jaw thrust feature. 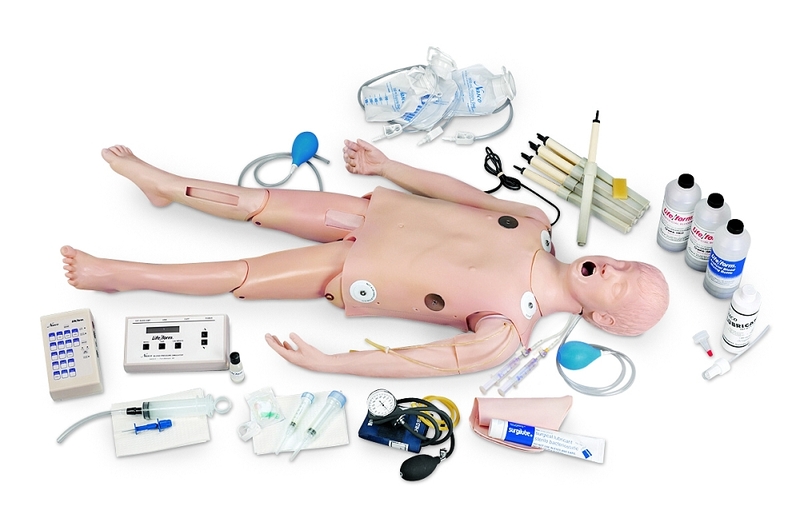 This manikin has separate left and right lungs for auscultation; has oral, nasal, and digital intubation capabilities; and includes an inflatable stomach bladder to indicate esophageal intubation. Also features E.T., E.O.A., P.T.L., L.M.A., E.G.T.A., Combitube, and King System insertion. 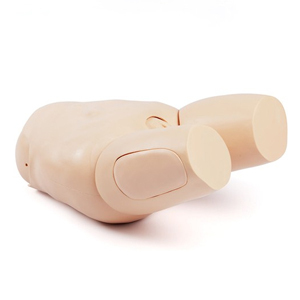 The Child CRiSis Manikin ideal for ACLS, nursing, paramedic, and EMT training at every level. Auscultatory gap can be added. Instructor determines systolic and diastolic levels, heart rate, and sound volume. Speaker in arm reproduces real blood pressure sounds. Fully articulated head, neck, and jaw. 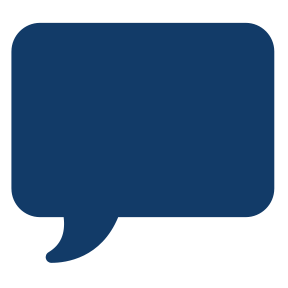 Completely compatible with all standard brands and types of defibrillators, monitors, and patient simulators. Load box prevents shocks from going to the patient simulator. 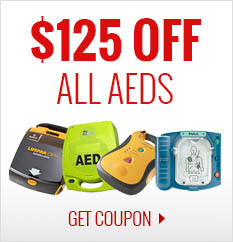 Manual, automatic, and semi-automatic defibrillation. Rhythms are detected at 4 ECG sites and 2 defibrillation sites. Articulated leg requires proper positioning. Palpable symphysis pubis and anterior superior iliac spine. Realistic flashback from pressurized venous system. Palpable landmarks include the patella, tibia, and tibial tuberosity. Pressurized system allows aspiration of fluid. Articulated at the biceps for antecubital and dorsal access. Realistic flashback from a pressurized system. Smaller lumen tubing simulates the size of a child’s veins.